J & R Gases in Nelson was formed in 1998 to service pubs, clubs and hotels in the Nelson and Burnley area with food grade CO2 and CO2/Nitrogen mixes for the beverage industry. There was a need for an independent to service this market place and offer a competitive and customer friendly supply. The company has rapidly grown and this part of the business has developed to cover Lancashire, Cumbria, North, West and South Yorkshire. 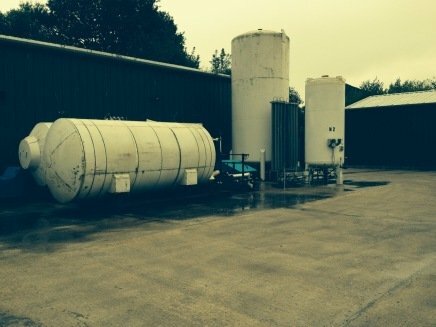 The company now has two gas cylinder filling plants to support this, one at our head office in Nelson and the other at our depot in Wigglesworth, Settle. A natural add on to this was helium for the leisure industry and we now supply this to trade throughout the same area. We schedule our customer deliveries on regular two weekly cycles and pride ourselves on our quick response to any emergency requirements. Our latest major investment is the supply of welding gases. We have installed a bulk system for argon, argon mixes, CO2 and Oxygen. This enables us to offer welding gases at competitive prices with a user friendly system for the smaller businesses and competitive prices for larger sites. Whilst we have been promoting our gases throughout the North West we have also become a main supplier of gas cylinders for companies like ourselves who distribute compressed gases throughout the rest of the UK. We have achieved approval to carry out periodic inspection of gas cylinders by the VCA and offer a full cylinder supply, maintenance and fill for wholesalers in the trade. Not only do we supply gases but we also have a range of related equipment available. From gas generators and blend systems to powder coating services for various applications, we have everything you need for gas solutions. We are UKAS accredited so you know you’re dealing with skilled professionals. 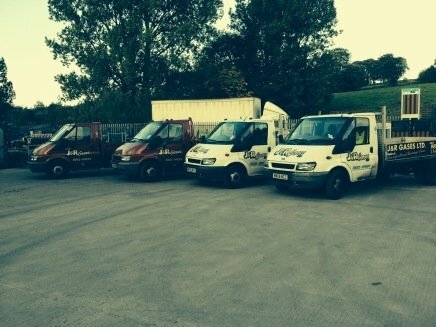 We have a regular, established delivery route through Cumbria, Lancashire and all of Yorkshire, so we can reach your business wherever you are in the North of England. Just call us today to find out more about what J & R Gases can do for you. Copyright © 2019 J & R Gases | Beer gas | North of England. Powered by WordPress. Theme: Accelerate by ThemeGrill.